Experience the sheer wonder of The Cliffs of Moher - stretching for 8 km along the coastline and reaching a height of 214 metres. Explore the Castle and wander through the Arched Gateway in the beautiful old stonewalls which enclose the Walled Garden. Beautiful, wild and unspoilt with the wonderful cliff walk in Kilkee, loop head walk at the light house and the ruins of Carrigaholt Castle. Bunratty Castle and Folk Park is just 20 minutes from Ennis – a beautiful 15th century furnished castle with a living rural village. 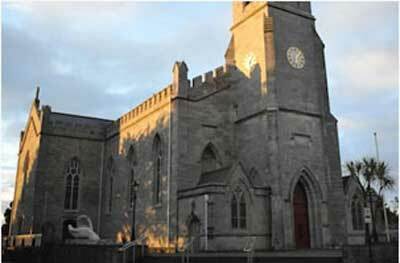 Ennis is a vibrant town rich in Irish culture and tradition. It’s home to some of the finest traditional Irish musicians in the country and is the ideal base to discover the must-see attractions in Co. Clare. Centrally located on the main route between Limerick and Galway, Ennis gives you all the charm and character of a beautiful little market town – with unlimited sight-seeing excursions such as The Burren, Cliffs of Moher and Loop Head Peninsula right on hand. Whether it’s culture, history, the great outdoors or action sports, you’ll discover something new every day. 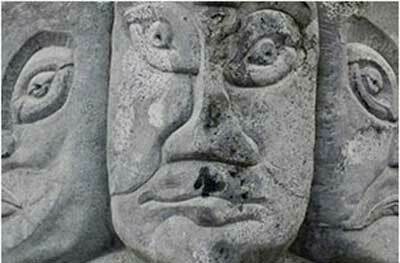 Wander through the picturesque medieval streets of Ennis and hear the fascinating tales and legends of famine, poverty, murder and rebellion. This impressive 1843 Cathedral is well worth a visit and its spire is a useful landmark from afar. Situated in the same building as the Tourist Office. 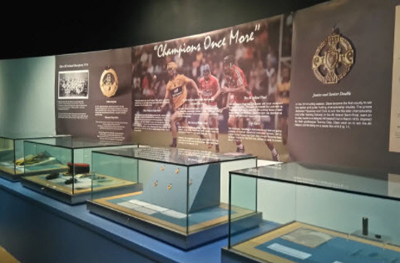 The Riches of Clare exhibition tells the story of Clare from 8000 years ago to the present day using original artefacts. A fabulous mix of readings, discussions, comedy and fun focused on all things books! 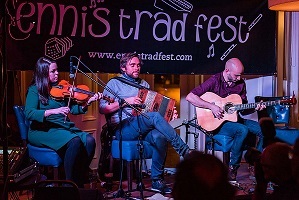 7th - 12th Nov Ennis welcomes a host of traditional Irish musicians from all over Ireland and world wide. A weekend of sessions, master classes , concerts and ceilis.